Plan Website Traffic - Don't Wait for it. 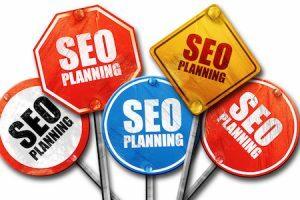 Plan Website Traffic – Don’t Wait for it. If you are wondering why you don’t have as much website traffic as you would like, I would ask, what have done to generate traffic? Every website plan needs to include a strategy to push their content out to users and drive website traffic to their site. Your website is the center piece of your marketing activities, and maybe even the sole location of your business. You need a plan of regular go-to activities to generate business from your website. I can’t imagine running a business without a marketing plan. From day one, I needed to know, for my own piece of mind, how was I going to find customers? Unfortunately, a lot of businesses come to us without a plan to generate website traffic in place. A good Website Strategic Plan should contain a mix of all types of traffic. Deciding how you will get traffic to your website helps determine how much website you need. I worked on my first business website in 2000. (FYI-It was www.chex.com, I spent a lot of time updating recipes for Chex party mix, especially right before the holidays.) Back then it was unusual for a business to have a robust website, so every time we launched a new one, all the company had to do was send out a press release that they were getting a website and day one they would have thousands of visitors. This was solely due to the fact that they were early adopters. A new company website was a novelty and everyone wanted to go and check out what they had done. Also, keep in mind, these were the days prior to Google, so no search traffic factored in here. Fast Forward to 2018. If you are launching a new website today, you may be lucky to break 100 visitors the first month. To do better you need a Website Strategic Plan. I can’t tell you how many people have come to Cybervise and said, “You guys just do your thing, show me big traffic numbers”. I am not sure what your experience with website professionals has been before, and I hate to dampen any big dreams, but we have no mysterious tactic or tool that will automatically make traffic appear on your website. Nothing but hard work will get new leads/sales/signups on your website. Direct – This is where someone types the address of your website in a browser and goes directly to your site. What drives this traffic is off-marketing tactics. Examples would be: handing your business cards, print or radio ads that include your website address or maybe even having the website address on a billboard or the side of your truck. Referral – Referral traffic happens when someone clicks on a link on someone else’s website. In the 2018, the biggest driver of this type of traffic should be your Social Media accounts. There are also opportunities for purchasing referral traffic. Examples would include social media ads, re-targeting campaigns or paid directory listings or banner ads. Search Engine – Search traffic occurs when a visitor performs a keyword search in one of the search engine websites and a listing is shown for your website, where the visitor will click on the listing to visit your website. Your website content is the number one thing that drives more search engine traffic. The more quality content your site delivers, the more search opportunity you create. Most search engines, especially Google and Bing, offer opportunities for paid traffic. Search Optimization is just one option. Not all promotion ideas are going to work for all businesses. Don’t pay attention to the hype, if common sense tells you that your customers won’t find you like that, then don’t pay for it. For example, if your business directs its products or services to a very specific audience and you know exactly who is on that list of customers, putting resources into an SEO campaign where you are trying to gain attention from website visitors that have never heard of your company, is not going to work for your business. As you are planning how to promote your website, identify expectations. Are you looking for something that will get visitors to your site fast or are you working towards the future and gradual/consistent improvement on your website visibility? Do you have a budget for promoting your website or do you have to rely on tactics that don’t have hard costs, but require more man-hours? Besides organic search there are seven additional online marketing options that could become sources of traffic for your website. As 2014 draws closer, here are some options that you might want to consider for your marketing plan. Content Marketing is a marketing strategy where you product and distribute helpful materials that your target audience would be attracted to. The form of content can be anything from a monthly newsletter to an E-Book to a You-Tube video. The end goal is to use the piece of content as a way to generate contact from a potential client, like by getting their email address. Content Marketing can be a major contributor to your SEO strategy, but can also give you other opportunities to get links or get shared. 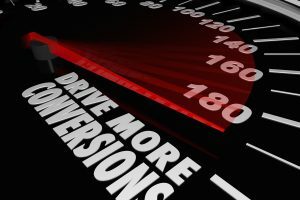 While we talk a lot about how to use Social Media to boost your SEO performance, Social Media can be a traffic-driving strategy on its own. If you can make the committment to really engage on your social networks, consistently add new content and build you online network, you may find that your Social Media accounts are driving more traffic and better converting traffic then your organic search visitors. You may have experienced this already. Have you ever noticed that once you visit a website that you see their ads everywhere? This isn’t an accident, this is Ad Retargeting. A piece of code is added to your site to create a list of visitors that came to your site (before you ask, we don’t know their names, we just remember their web browsers). As this list of people visit other sites, they are showing advertising for your company, linking back to your website. This technique seems to be particularly good for e-commerce sites that are having trouble with abandoned shopping carts. Google Adwords as performing better then ever in 2018. A well managed campaign can be a go-to source of traffic quick if you have a big product launch or need a little boost for your sales funnel. Looking to diversify your traffic? Maybe set aside some budget to experiment with other online paid advertising. All of the social networks, like Facebook, LinkedIn and Twitter, have paid ads too. Sometimes you might be able to find a very specific target audience better with the Social Ads. Email marketing is still alive and well. If you are currently doing an email broadcast to your to client base, to help boost traffic to your website, always provide links back to your website in your email content. Also, look at other ways to ramp up your email campaigns, maybe a new series of emails when a new customer comes on board or a series of followup emails once a new sale is complete. Remember, promoting your website is not a project with a beginning and an end. This is more like a habit you need to get into, something that becomes part of your work routine. You will find that some tactics like SEO or Social Media will not work if you are constantly stopping and starting what you are doing. As soon as you decide what your promotion activities are going to be, creating a calendar with re-occuring reminders to help remind you to keep going. Try our 2019 Website Strategic Plan. It’s a Free Download. Our plan contains more ideas and a checklist for planning your website promotion. Carmen Krupar is the President and Founder of Cybervise. She has 19 years experience as a professional webmaster and has advised hundreds of business owners on how to use their website as an asset to improve their business. Thinking of Cutting Back on Website Maintenance? You’re Wrong! Sign-up for a Free Website Consultation and we can pick a Website Maintenance Plan that will work for you.